4, Church, culture and being relevant. I said in our introductory hand-out that the Church of Ireland is the Church of Jonathan Swift, Lord Edward FitzGerald, Charles Stewart Parnell, Douglas Hyde and WB Yeats, and I said we shall look at that next week when we discuss the topic of Church, culture and identity. The cultural, social and political contributions of members of the Church of Ireland to Irish life. ● Brewers like Arthur Guinness. ● Writers like Bram Stoker and Elizabeth Bowen. ● Playwrights like John Millington Synge, Sean O’Casey (name some plays? ), Lady Gregory, and so has an intimate connection with the foundation of the Abbey Theatre. 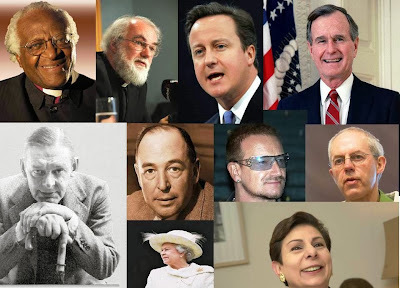 ● Nobel prize winners such as George Bernard Shaw and Samuel Beckett. ● Poets like Oscar Wilde, WB Yeats and Louis MacNeice. ● The painters Jack Yeats and William Orpen. Culture and identity are also linked with the economic and business contributions of members of the Church of Ireland. Think for example of the founding figures in Guinness or the Bank of Ireland. 1798: Lord Edward FitzGerald; Archibald Hamilton Rowan; Henry Monroe, Betsy Grey, Bagenal Harvey, the Colcloughs, the Grogans and the Boxwells. 1803: Robert Emmet, Thomas Russell. Later: William Smith O’Brien; Charles Stewart Parnell. Rev William Hickey “Martin Doyle” and agricultural reform. The Gaelic revival: Douglas Hyde, Semple Stadium and the Sam Maguire Cup. 1916: Countess Markievicz, Sean O’Casey. The Irish Countrywomen’s Association, Annette Edith Lett. 1921/1922: Ernest Blythe and Erskine Childers. 1937: Douglas Hyde, first President of Ireland; later Erskine Childers. On the other hand, the General Synod sent an official delegation to Michael Collins to ask if they were “permitted to live in Ireland or if [it is] desired that they should leave the country” – this despite the role of many members of the Church of Ireland in the War of Independence, including Constance Markiewicz (Constance Gore-Booth), Erskine Childers, Sean O’Casey and Robert Barton, and that the first President of Ireland would be a son of the rectory, Douglas Hyde. After partition, the Church of Ireland population continued to decline in the area that is now the Republic of Ireland. Statistics show a noticeable decline particularly in both border counties and in provincial towns. Surprisingly, emigration did not take the same toll, comparatively, as is often imagined. In the period 1946-1961, 15 per cent of Roman Catholics emigrated, while 10 per cent of Protestants emigrated. ● The Fethard-on-Sea boycott in Co Wexford (1957). Did your answers include: Trevor Sargent, Greens; Independent Shane Ross; Jan O’Sullivan, Minister for Education and Robert Dowds TD, Labour; Senator David Norris, Independent? Consider too the contribution to Irish life today by members of the Church of Ireland such as Bono and U2, Sam Boothman, a recent president of the GAA. 1, Sectarianism: legacy from the past (refer to Scullabogue, the Achill Mission). 2, The post-independence settlement (refer to Archbishop Gregg, the name of the Church of Ireland in the 1937 constitution). 3, Inter-marriage: the effect of Ne Temere. This lasted into the 1960s or even the 1970s. The story of the Fethard-on-Sea boycott is told in the movie, A love divided. 4, The Northern conflicts, more recent years, symbolised in many ways by the problems surrounding the Church of Ireland parish church in Drumcree, near Portadown. 3, Issues in Northern Ireland, including Drumcree and flag-flying. 4, Over-burdened structures, and distances for parochial clergy. 5, The training and deployment of clergy. 6, The future of schools and education. 7, Women, their place in church government and structures, and residual opposition to women bishops and priests. 8, Sexuality: civil partnerships and same-gender marriages. 10, Interfaith relations, especially Muslim-Christian dialogue. Those who remain may, I fear, as the “real” unemployment figures remain high, face increasing resentment that may be expressed in racist terms. The jobs that were once despised, and left to Chinese workers who came here on “student” visas, are becoming attractive once again to our own teenage and young adult children – the late night grille at fillings stations, the cleaning and casual labouring shifts, the stacking and shelving jobs in the middle of the night in supermarkets. These are major moral issues for the Church today. 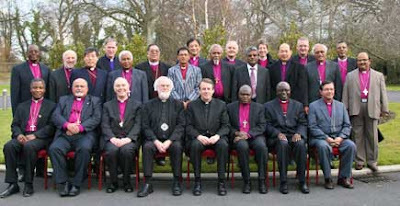 Any outside observer or commentator looking at the Church of Ireland and the Anglican Communion in this past decade would have thought the only moral issues we face are those that dominated the agenda at Gafcon and the Lambeth Conference in 2008. But what about the major moral issues facing us in the Church today when it comes to welcoming the stranger in our midst and to providing pastoral care and support for our new immigrants? The statistics analysing the 2006 census returns in the Republic of Ireland produced unusual and curious details about the number of Greek Muslims, Chinese travellers, teenage widows and the two Maltese divorcees living in Ireland – perhaps they should be introduced to each other ... or perhaps their problems started when they were first introduced to each other. They help us to underline the way in which we have all come to realise and accept: that Ireland has become a diverse and multicultural society. We never were a plain, boring, mono-cultural society. We have always been an island that has been diverse and plural because of the people who come to our shores: from the Celts, Parthalons and Vikings, to the Anglo-Normans, both English and French, the Gallowglass and the settler Scots; from the French in the Middle Ages, to the Huguenot refugees and the weaver of Dublin’s Liberties. 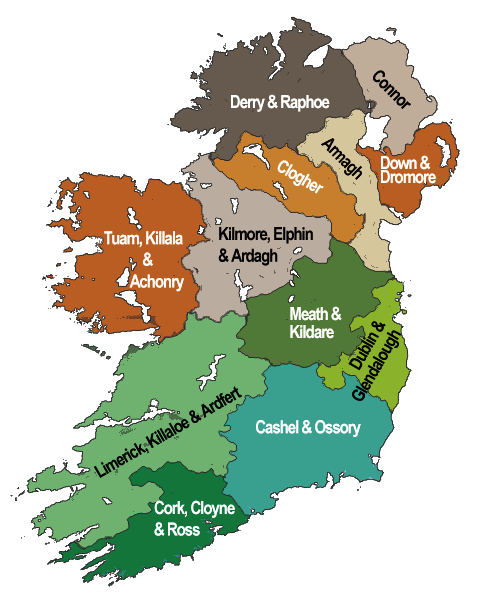 Who do you think are the single largest identifiable groups of people in the Republic of Ireland on any one day? And I mean among those who were not born in the Republic? We do not notice the first group, because many of them were born in Northern Ireland or were born in England of Irish parents, and they speak and look like the vast majority of people here. The second group we welcome with open arms. They provide us with income, revenue, and in economic terms the equivalent of exports – they bring in money from other countries, and, so, they are vital to a key sector of the economy. I have never heard anyone complain in racist terms that the country is being swamped with Italian tourists. But I regularly hear gross exaggerations about the numbers of Nigerians and Somalis here. So who are the strangers in our midst? The census figures for 2011 show that Polish nationals (122,585), followed by those from the UK (112,259) are the largest non-Irish groups living in the Republic. The number of Polish nationals living here increased by 93.7 per cent between 2006 and 2011, while the number of UK nationals declined by 0.3 per cent. Overall, 544,357 non-Irish nationals were living in Ireland at the time of the 2011 census, an increase of 29.7 per cent or 124,624 on 2006, some 12 per cent of the population. The rate of growth was considerably slower than in the period covered by the 2006 census when the non-Irish population almost doubled to 419,733. The sharpest percentage increases in non-Irish-born residents were among Romanians, with the population more than doubling from 8,566 to 17,995 (up 110 per cent) following EU accession in 2007 and people from India, where the community grew by 91 per cent to 17,856. The largest rise in overall terms was, unsurprisingly, among the Polish-born community which grew from 63,090 to 115,193 (up 83 per cent) in the period. The growth in the number of Polish-born people was more than five times that recorded in the Lithuanian community, which grew by the second largest number (10,039) to 34,847. People born in England and Wales still account for the largest group of individuals living in Ireland that were not born here at 212,286. The rate of growth in the group was small by comparison to many countries between 2006 and 2011 at about 3.7 per cent. Unsurprisingly, Polish – with 119,526 people – was the foreign language most spoken in the home, followed by French (56,430), Lithuanian (31,635), German (27,342) and Spanish (22,446). More than 25 per cent of those who spoke a foreign language at home were born in Ireland. Of these, 13,690 were children aged three to four years; 26,569 were primary school children and 21,187 were secondary pupils. In terms of ethnicity, 85 per cent of Irish residents identify themselves as white Irish, a 4.9 per cent increase on the 2006 census. Immigration from Eastern Europe helped to push the number of “other white” respondents up by 43 per cent to 412,975. Almost two-thirds of those making up ethnic groups other than white Irish were aged 35 years or less. Just 3 per cent in these groups were 65 or older. In contrast, less than half of those in the white Irish group were aged under 35 and 13 per cent were 65 or more. Research at the National University of Ireland Maynooth (NUIM) has found that more than 167 different languages – from Acholi to Zulu – in use by 160 nationalities among the people in Ireland as their everyday first language of choice. Ireland has become a multilingual society, so that the 2006 census was conducted in 13 languages. Apart from English and Irish, these languages are: Arabic, Chinese, Czech, French, Latvian, Lithuanian, Polish, Portuguese, Romanian, Russian and Spanish. In addition, information was also available in Estonian, Magyar (Hungarian), Slovak, Turkish and Yoruba. Asylum seekers and refugees are a very small proportion of the number of foreign-born people in Ireland at any one top, and their numbers are decreasing steadily. ● They are often exploited and paid below the minimum wage. ● They are over-qualified for their jobs, so they are part of a brain-drain on Latvia, which has paid for their training and education and needs their skills. 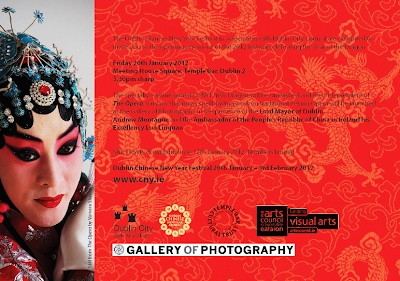 There may be 60,000 Chinese living in the state, perhaps half in the greater Dublin area, and many are here on student visas and without work permits. Many of the Poles are Roman Catholics, but worship in their own parishes and congregations. Many of the immigrants from the Baltic countries are Lutherans, and under the Porvoo Agreement they are full communicant members of the Church of Ireland while they are here. But we have very little pastoral or liturgical engagement with them, and many of them probably have no idea of who we are. The Chinese have their own Catholic parish in Dublin, with Masses in Chinese, while the Chinese Protestant Church is a very conservative evangelical church. However, despite the increasing popularity of celebrations such as the Chinese New Year celebrations in Temple Bar Square, Dublin, we know very little about the religious beliefs and practices of the majority of Chinese people here. Despite their visibility, the number of Nigerians in Ireland is probably lower than many of the public estimates. Of the 30,000 Africans thought to be in Ireland, about 20,000 are probably Nigerians. They suffer racism not only from Irish-born people but from other Africans too. Yet they make a positive contribution to public life in Ireland: Rotimi Adebarai became Ireland’s first black mayor in June 2007 in Portlaoise. Other African communities in Ireland include people from DR Congo, Sierra Leone, Somalia and Sudan. The Romanian population is largely Dublin-based. There may be 20,000 Romanians in Ireland, although the numbers are dropping significantly at the moment, according to the priests of the Romanian Orthodox Church. They often complain that they are all categorised as Gypsies or Roma. Yet there may only be about 2,000 Roma in Ireland, and many of those come from other Easter and Central European countries, including the Czech and Slovak republics, the former Yugoslav republics, Bulgaria and Hungary. Admittedly, the census statistics are always on the low side when it comes to telling us who is living among us. Too many people are too afraid and too scared to register themselves at census times, worried that once noted they may face discrimination or forced deportation. What has this got to do with the Church of Ireland today, with who we are and what our mission is? Apart from the duty on church members to comfort those who are in fear and to welcome the stranger, it is important that we do not see those who have arrived among us in recent years as problems, either in themselves or in the reaction of some sectors of society and government. They enrich our society, and they enrich our Church life too. If Ireland is not monochrome or mono-cultural, then neither is the Church of Ireland. How is the Church getting it right? How is the Church getting it wrong? And what are the opportunities we can grasp in the Church of Ireland? A positive example of the Church of Ireland has adapted and changed is provided by the ‘Discovery’ programme based at Saint George’s and Saint Thomas’s Church in inner city Dublin, including the Discovery services, choir and chaplaincy. This has been positive for the church, for the parish, and for the international community. But it also led to other initiatives, such as the U2charist. But success was only possible because the then priest-in-charge, Canon Katharine Poulton, now Dean of Saint Canice’s Cathedral, Kilkenny, was open to taking risks. And because her congregation was supportive as she took those risks. The implications for ministry are obvious. We must be willing to be adventurous and innovative, who are risk-takers. We are ordained to be “messengers, watchers and stewards.” But instead, parishes often want their clergy to be building surveyors, caretakers and boiler-fixers. A negative example comes from hospital chaplaincy. I heard someone say recently not that he, but that other members of the Church of Ireland, would not like the idea of a black African chaplain visiting the wards. Why not? He protested that he is not racist. But the implications are disturbing. Many of our hospital and prison chaplains find themselves cast into the role of advocacy. They are the ones people – staff and patients or prisoners – turn to for advice about other minorities. Are our chaplains, lay and ordained, trained properly, and knowledgeable enough for this role in ministry? There is a large new school in the Greater Dublin area under Church of Ireland management. Before September 2009, there were 58 or 60 children in the old schoolhouse, which was dilapidated and in need of repair or replacement. About half of those children were non-nationals. The national school has moved to a new building. Other schools in area were giving priority to Roman Catholic children, and so their school rolls were full. After the new school opened under Church of Ireland management in September 2010, the number of children reached 240-250. Of these, 80% were Nigerian by birth or parentage, 10% were from Eastern Europe or other nationalities, and 10% were Irish-born. In the senior infants’ class, there were 31 children, of whom three were “white,” and of those, only one is Irish-born. Were the parishioners withdrawing their children? 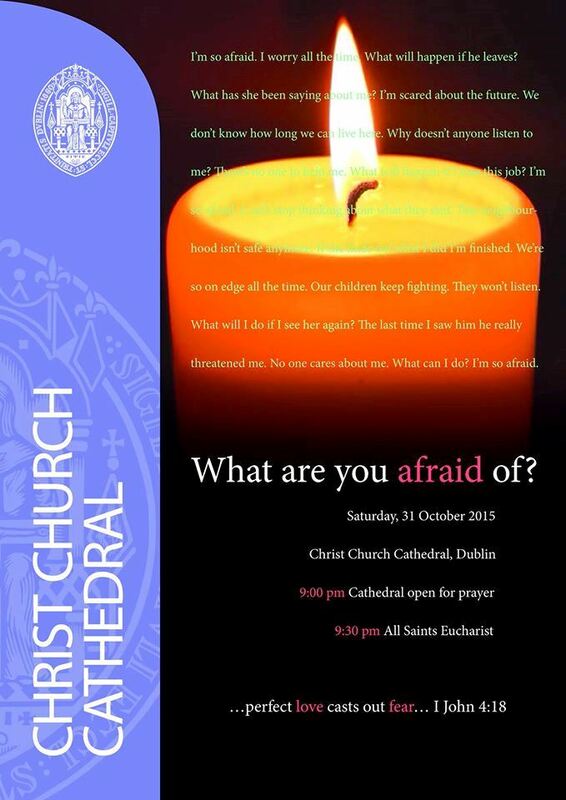 Is this an appropriate move by that Church of Ireland parish? What do you think are the positive and negative aspects of this scenario? And of course, what are the implications for teacher training or for raising awareness among parishioners? How best can we use our Church buildings? The former Church of Ireland parish churches in Harold’s Cross and Leeson Park are now being used by the Russian Orthodox and Romanian Orthodox Churches, while Saint George’s and Saint Thomas’s, and the parish churches in Donnybrook, Swords and Tallaght are providing hospitality for various Syrian and Indian Orthodox communities. How can we best use our church buildings to reflect the needs of the changing and changed Ireland? Some images and perceptions still have to be dealt with. The Archbishop of Dublin, Dr Michael Jackson, said some years ago that sectarianism within the Church of Ireland is alive not only in Northern Ireland, but also in parts of the Diocese of Dublin and Glendalough. TS Eliot (1888-1965), who died 50 years ago this year, was perhaps the most important poet in the English language in the 20th century. 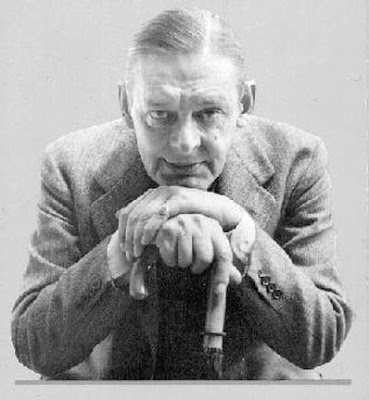 And he is one of the greatest examples of how Anglican spirituality, Anglican liturgy, Anglican memory and Anglican history have been conveyed through the generations through the arts, particularly through poetry, drama and fiction. For example, the calendar of the Church of England in Common Worship commemorates the poets George Herbert (27 February), Geoffrey Studdert Kennedy “Woodbine Willie” (8 March), John Donne (31 March), Christina Rossetti (27 April) and John Keble (14 July), and writers like Julian of Norwich (8 May), Evelyn Underhill (15 June), John Bunyan (30 August) and Samuel Johnson (13 December). To that list we might, perhaps, add writers such as CS Lewis and Dorothy Sayers. Or if we were to think of writers who have been conduits of Anglican spirituality and Anglican thinking we might think of Anthony Trollope (1815-1882), author of the Chronicles of Barchester, the poet John Betjeman, or, today, writers like Margaret Craven, Susan Howatch and Catherine Fox. 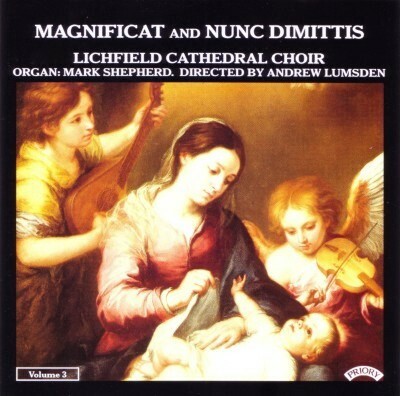 Some of the greatest contributions from Anglicanism to our culture today is in the field of music ... choral settings for canticles such as Magnificat and Nunc Dimittis and for Evensong, the influence of the Service of Nine Lessons and Carols from the Chapel of King’s College, Cambridge, or the works of modern composers such as Edward Elgar, Hubert Parry, Vaughan Williams, Herbert Howells, Benjamin Britten, John Rutter and Stephen Cleobury. But poetry, literature, music, architecture ... these are areas that I hope you come to explore in your own time. (Revd Canon Professor) Patrick Comerford is Lecturer in Anglicanism, Liturgy and Church History, the Church of Ireland Theological Institute, and an Adjunct Assistant Professor, Trinity College, Dublin. This lecture was delivered in the Mater Dei Institute of Education, Dublin, on 29 October 2015. Mater Dei Institute of Education (MDI) is a College of Dublin City University (DCU). Week 2, 29 October 2015, 1 p.m.
We visited Christ Church Cathedral, Dublin, earlier this month [1 October 2015] as an introduction to Anglicanism. 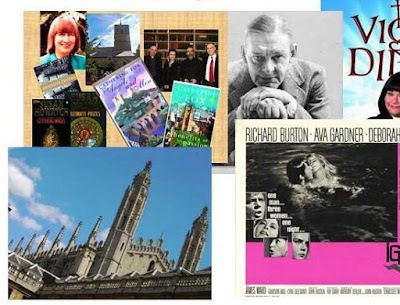 Now, for two further sessions in the Anglicanism section of this module [today, 29 October 2015 and Thursday 19 November 2015], we are going to look at the story, traditions and theology of the Church of Ireland, which is the second largest church on this island, and to the story, traditions and theology of the wider Anglican Communion, of which the Church of Ireland is part, and which is the third largest Christian family of churches worldwide. The Church of Ireland is the Church of Jonathan Swift, Lord Edward FitzGerald, Charles Stewart Parnell, Douglas Hyde and WB Yeats, and we shall look at that later this afternoon when we discuss the topic of Church, culture and identity. 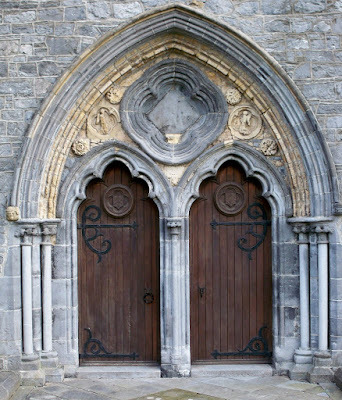 We shall look at the history of the Church of Ireland, not merely as an exercise in gaining facts and figures for key events and personalities, but as a way of looking at the Church of Ireland’s sense of continuity with both the early church in Ireland and with the Anglican reformation, and in order to understand how Anglicanism sees itself as both Catholic and Reformed. We shall explore the distinctive characteristics of Anglicanism, its liturgical and spiritual life, its history and culture, its unique emphasis in the way Anglicans do theology on ‘Scripture, Reason and Tradition,’ some of the present internal debates facing Anglicans, and the role of Anglicans in ecumenical dialogue, particularly through ARCIC (the Anglican Roman Catholic International Commission). Please note that all the course material, including my lecture notes, is available each Thursday at the same time as these lectures on my website: www.patrickcomerford.com. Handout: outline for these two weeks; with summary of October visit to Christ Church Cathedral, reading list; and note on the websites. Let us discuss where this section of the module fits into your degree programme. You have opportunities too to learn about Methodism and Islam. What are your expectations from this section of the module? How do you see this integrating with the rest of your learning? How many of you have been inside a Protestant Church? How many of you have Protestant family connections? How many of you have Protestant friends or neighbours you know well? Can you name three famous Irish Protestants, living or dead? Many of you will have heard the phrase: “Protestant, Catholic and Dissenter”. It was used by politicians like Edmund Burke, and by the United Irishmen in 1795-1798 in the search for terminology that was inclusive. Traditionally, the word Protestant was used at the time to describe the Church of Ireland and its members, while the word ‘Dissenter’ was used for Presbyterians, Baptists, Quakers and other Protestant groupings that stood outside the Church of Ireland. Today, when we use the term Protestant, we normally use it to describe members of the Church of Ireland, and members of other smaller churches, including Presbyterians, Methodists, the Salvation Army and Baptists. Does this term include Seventh-Day Adventists, Quakers and Unitarians? There are questions about whether the term embraces some of the new Pentecostal or charismatic churches. It certainly does not include the Greek Orthodox, the Russian Orthodox, and so on. But where do the Jehovah’s Witnesses, Mormons, Christian Scientists and other post-Christian religious groupings fit? 1, It has political associations in Northern Ireland since 1969. 2, It has catch-all implications, for it can imply that the Church of Ireland has more in common with, say, Presbyterians that Roman Catholics. This may be true socially in parts of the Republic of Ireland, but not in many parts of Northern Ireland; and its theological implications depend on where you stand in the theological spectrum. These terms have been used officially in recent commentaries and analyses by the Central Statistics Office of the 2011 census statistics. Yes, members of the Church of Ireland are an identifiable minority. But we have more in common with, for example, our Roman Catholic neighbours, than, say, our Muslim, Jewish or Buddhist neighbours. So there is no such thing as “minority religions” that share some common ground. The word religion is also used inappropriately here too. We can define Christianity, Judaism, Islam, Hinduism and Buddhism as religions. But the Church of Ireland is part of the Christian religion. We do not hold to a separate set of religious beliefs that puts us in a separate category from Christianity. We share the essentials of faith and church structure with Roman Catholics. We have the same Bible (Old Testament and New Testament), the same faith as expressed in the ‘Catholic Creeds’ (Nicene, Apostolic and Athanasian Creeds), the same sacraments, especially Baptism and the Eucharist; and the same ecclesiology or theological understanding of the nature and organisation of the church, with three orders of ministry – bishops, priests and deacons. In addition, we share the same Celtic heritage, the history of the same Church that was one on this island for longer than it has been divided, the same understanding of mission, and the same hope for the future unity of the Church, the whole Church, the Church Universal, the Church Catholic. Not all Protestants, and not all members of the Church of Ireland are members of the Orange institutions, not all are Masons, we do not reserve the “good jobs” for our family members, nor do we retain a secret loyalty to the Queen and the British monarchy. There were 129,039 members of the Church of Ireland in April 2011, an increase of 6.4 per cent on 2006. This includes 13,667 primary school aged children and 8,809 of secondary school age. One in 10 Church of Ireland workers had occupations in agriculture and related activities. We can compare with other churches and other faith groupings. What do these figures mean? Do they represent decline or growth? An analysis of the census figures by the Central Statistics Office was described in The Irish Times [9 October 2012] as providing us with a “Portrait of a population growing in diversity” in the Republic of Ireland. Just five religious affiliations were mentioned over half a century ago in the 1961 census, but the 2011 Census refers to more than 20 religious affiliations, and also has a category for “other religions,” which was ticked by 56,558 people. This latest census shows that the proportion of the population who are [Roman] Catholic reached its lowest point last year at 84.2 per cent, but the number of [Roman] Catholics, 3.86 million people, is the highest since records began. This is partly explained because the number of [Roman] Catholic immigrants living in the Republic of Ireland: 8 per cent of the [Roman] Catholic population is non-Irish last year, with Polish people the biggest group at 110,410 Catholics, followed by those born in the UK, at 49,761 – which may include many people born in Northern Ireland. Of the 3.8 million [Roman] Catholics in the state, 92 per cent are Irish, while the remaining 8 per cent belong to a range of nationalities. Among the non-Irish, Poles are the biggest group (110,410), followed by the UK (49,761) and between them they accounted for over half of all non-Irish [Roman] Catholics. Interestingly, there are also 64,798 divorced [Roman] Catholics –27,468 males and 37,330 females. So, now that we have the statistics, what about the Church of Ireland? As for the Church of Ireland, there are 129,039 members of the Church of Ireland, or 2.89 per cent of the population, an increase of 6.4 per cent in the five years since 2006 (118,948). This includes 13,667 primary school aged children and 8,809 of secondary school age. One in 10 Church of Ireland members in the workforce has an occupation in agriculture and related activities. The figures show the Church of Ireland population has a much higher proportion involved in “Farming, Fishing and Forestry” (7.1 per cent) than the population as a whole (3.6 per cent). 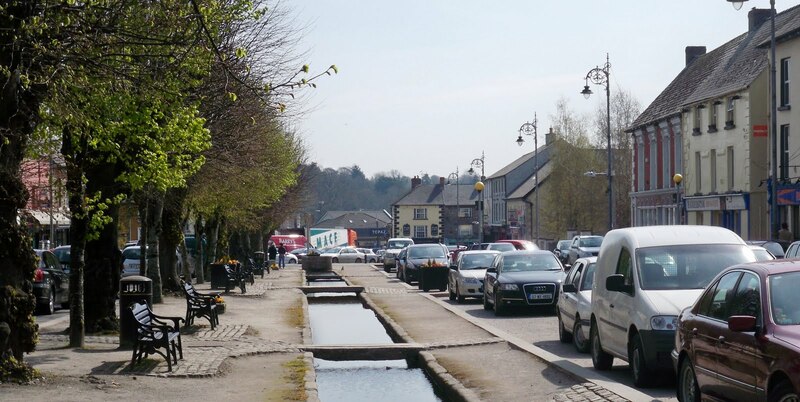 Co Wicklow remains the county with the largest Church of Ireland percentage of the overall population (6.7 per cent). Co Cavan is the second largest (5.8 per cent). Greystones, Co Wicklow, with 8.5 per cent Church of Ireland population, has been overtaken by Enniskerry, Co Wicklow, at 9.1 per cent, as the town with the highest percentage of Church of Ireland residents. The overall number of people employed in “religious occupations” has declined, from 6,618 in 2006 to 5,817 in 2011. But, interestingly, the numbers of Church of Ireland members employed in “religious occupations” increased marginally, from 308 in 2006 to 316 in 2011. Despite the RTÉ soapbox image of the Church of Ireland, not all of us are plumy rectors or from the landed gentry. There are strong working class parishes in parts of Dublin, including Finglas, Irishtown and Tallaght. And the backbone of many rural parishes is the same as Roman Catholic parishes: small shopkeepers, small farmers ... people like your parents. 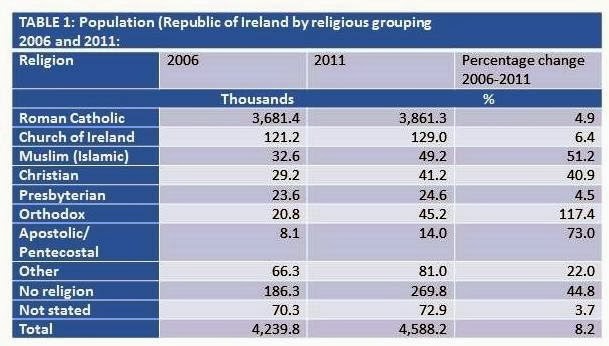 These census figures help to show that the popular perception of a Protestant decline has been arrested if not reversed. But, to be honest, we do not know why. Among other Christians, there are now 45,223 Orthodox Christians in Ireland – more than double the number in 2006 (20,798) and more than four times the number recorded in 2002 (10,437). There are 24,600 Presbyterians, up marginally on 2006 and continuing a pattern of increasing numbers since 2002 following long periods of decline up to 1991. The other Christian groupings are the Methodists (6,842), Lutherans (5,683), Evangelicals (4,188), and Baptist (3,531). Other Christian groups include Quakers (925), Brethren (336), the Salvation Army, and so on. On the fringes of Christianity, there are Jehovah’s Witness (6,149), Mormons (1,284), Christian Scientists, and so on. 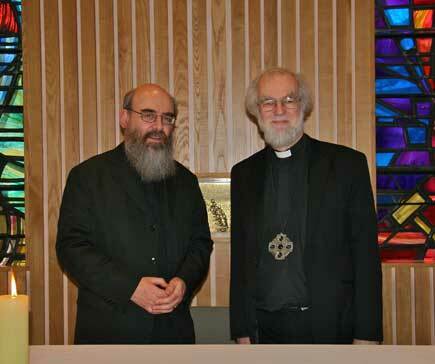 In terms of ecumenical relations at an inter-church level, this is certainly challenging. In the past, we have traditionally spoken of the four main churches, meaning the [Roman] Catholics, the Church of Ireland, the Presbyterians and the Methodists. But the combined total of Presbyterians and Methodists at 31,442 is now eclipsed by the total number of Orthodox, and the Methodists have slipped behind the Apostolic and Pentecostal churches in numerical terms. As for the non-Christian religions, there are 49,204 Muslims, making them numerically the third religious grouping in the state after [Roman] Catholics and the Church of Ireland, and marginally ahead of the Orthodox Christians. Other religions in total account for 98,643 persons (2.1 per cent). The largest single religion in this group is Buddhist (8,703), and over one-third (37.9 per cent) are Irish by nationality. There are 1,984 Jewish people, up from 1,930 in 2006. The total of those with no religion, atheists and agnostics has increased more than four-fold in the 20-year period between 1991 and 2011 to 277,237 in 2011. Compare these with the organisation and names of the Roman Catholic dioceses in Ireland. How the Church of Ireland is organised at national (general synod), local (diocesan) and parish level. Explain the role of cathedrals in the life of a diocese, and the role of the parish church in the life of the local parish. Emphasise how the laity are involved at every level of Church government, from election of bishops, to general synod, to diocesan synods, to parish vestries and the nomination of local parish priests (rectors). These census figures show that all churches and religious or faith groupings are living in a very different and a changing Ireland. We face new issues and challenges, changing social situations, and different expectations and demands. 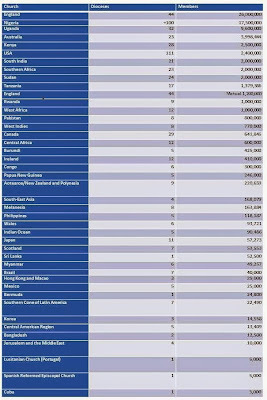 UK, 21,474; Lithuania, 1,589; Nigeria, 1,534; Poland, 1,235; Other African, 590; Germany, 438; South Africa, 420; Latvia, 335; USA, 333; China, 303; India, 279; Australia, 239; Canada, 162; and Netherlands, 155. After that, it is down to double and single figures, but the Church of Ireland even has one member each from Bulgaria, Greece, Luxembourg and Malta. The figures from the UK may represent many people born in Northern Ireland, and not just people from England. There are more Lithuanians than Nigerians in the Church of Ireland. 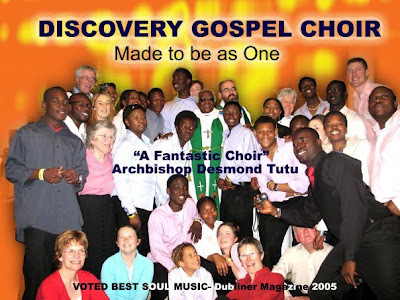 Yet, while the Church of Ireland has appointed a Nigerian priest to work with the African population, the Church has not yet appointed a priest to work with the large number from the Baltic and Nordic countries who are members of the Church of Ireland and who are our pastoral responsibility under the Porvoo Agreement. What has this to say about our mission priorities? There are 976 Church of Ireland members of the Travelling Community (3.3% of the total) – interestingly this is a higher proportion within the Church of Ireland than the proportion of the Church of Ireland population in the population as a whole (2.75 per cent), or the proportion of the Traveller community in Co Wexford as a whole (1,504, or 1.1 per cent), and more in number that the Travellers living in Co Carlow, Co Kilkenny or Co Wicklow, for example. But what has this to say to the Church of Ireland? Travellers are more likely to be unemployed, to live in poor housing conditions or in mobile or temporary accommodation, to have no sewerage facilities, to have ended their education at primary school, and to suffer from ill-health and disabilities. Yet the number of Travellers is as large as many a Church of Ireland, and our neglect of Travellers in the Church of Ireland is as much an indictment of our attitude to social justice as it is a test of our pastoral values. The previous census in 2006 showed that in the Republic of Ireland, the Church of Ireland population had increased by over 46 per cent in recent years, but may be on the decline in Northern Ireland, according to a study of the census figures by the social statistician Malcolm Macourt of Manchester University. In his book, Counting the People of God? The Census of Population and the Church of Ireland, Malcolm Macourt shows, through a comparison of the 1991 and 2006 census returns, that the Church of Ireland population in the Republic of Ireland had grown from 82,840 to 121,229 – an increase of 46 per cent over a 15-year period when the general population rose by only 20 per cent. On the other hand, the Church of Ireland has seen a drop in members in Northern Ireland, along with many other churches, including the Methodist Church. The 2011 UK census shows the Church of Ireland in Northern Ireland has 257,788 members, or 15.3 per cent of the population – which is almost 17,000 less than the 275,000 on the website. The largest denomination in Northern Ireland is the Roman Catholic Church with 678,462 members or 40.2 per cent of the population, followed by the Presbyterian Church with 348,742 or 20.7 per cent. So, it appears, the Church of Ireland is growing in the Republic, while it may be in decline in Northern Ireland, although in both places to be a member of the Church of Ireland remains being a member of a minority. The Church of Ireland suffered a major decline in numbers during the 20th century, both in Northern Ireland, where around 65 per cent of its members live, and in the Republic of Ireland which contains upwards of 35 per cent. However, the Church of Ireland in the Republic has experienced substantial growth in the last three national censuses; its membership is now back to the level it was over 60 years ago – albeit with fewer churches and fewer clergy. Church membership increased by 8.7 per cent in the period 2002–2006, during which the population as a whole increased by only 8.2 per cent. Of course, Church membership, counted according to Church affiliation entered after each name in the census returns, does not equate with Church attendance, or active participation in the life of the Church. Do census questions of religious affiliation receive “cultural answers”? ● believing what the Church of Ireland teaches. ● Being an “accustomed” member of the parish – going to church regularly in a particular church. But what if you have been baptised in another tradition? What if you have been baptised but not confirmed? If membership is defined by practice, how often do you have to go to Church to be a member? And if you stop going to church, how long should pass before you stop being considered a member? How often should you contribute financially? And, of course, many may not sign the forms to have their names entered on the vestry roll – because they think they may move to another parish later on; because they do not feel at home where they are; because they are reluctant to give more financially; because they fear being asked to sit on the Select Vestry or become a churchwarden; because, because, because ... who knows? Why did membership of the Church of Ireland go into decline from 1861, and in particular, in what is now the Republic of Ireland, from 1921 until the last two census counts? ● Different fertility rates – in 1936, for example, the fertility rate for Church of Ireland couples was 54.7 per cent, barely half that for Roman Catholic couples. 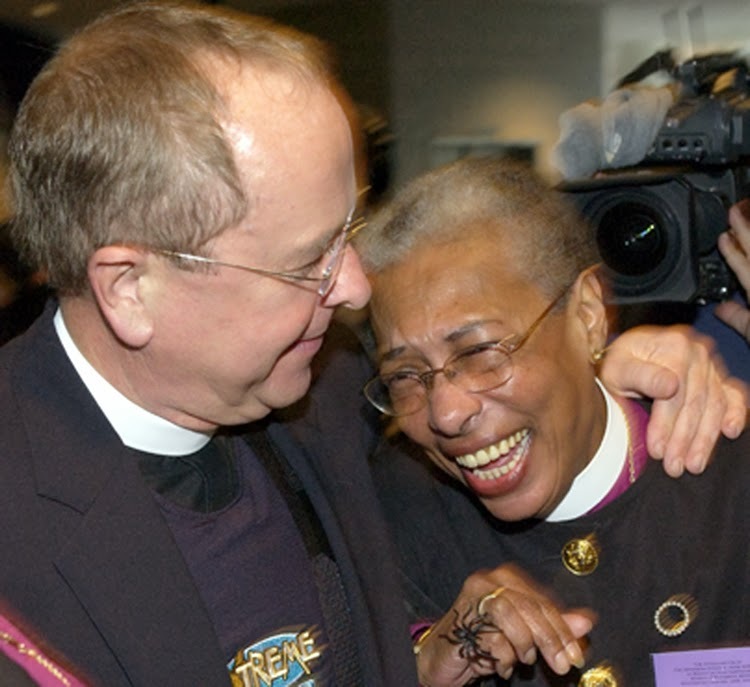 The Anglican Episcopal family consists of an estimated 80 million Christians who are members of 44 different churches. These make up 34 provinces, four United Churches, and six other churches, spread across the globe. So, the Church of Ireland is what we might call a “middle-ranking” member church of the Anglican Communion, in terms of both membership and numbers of bishops and dioceses. Not all these churches owe their origins to the Church of England. 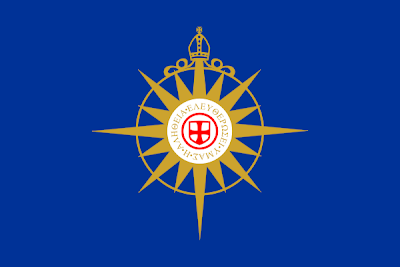 The Episcopal Church (USA) derives its episcopal succession from the Scottish Episcopal Church; the Spanish Reformed Episcopal Church derives its episcopal succession from the Church of Ireland, and the Church of Ireland, through its missionaries, has had considerable influence in shaping Anglicanism around the world, from Canada to South Africa, to Kenya, to Australia, for example. Many of the dioceses in these churches are small compared with the dioceses of the Church of Ireland. Others are vast: the Diocese in Europe alone, which is part of the Church of England, stretches from Morocco in North Africa to Vladivostok in Siberian East Asia; the recently retired Bishop of Europe, Dr Geoffrey Rowell, preached in Christ Church Cathedral, Dublin, three years ago [9 December 2012]. Some ordain women, others do not. The most recent elections of women as Anglican bishops have been in South India and in the Church of Ireland. Can you recognise these Anglicans or Episcopalians who have achieved some international fame or recognition in recent years? At times it is envious to look at personalities. 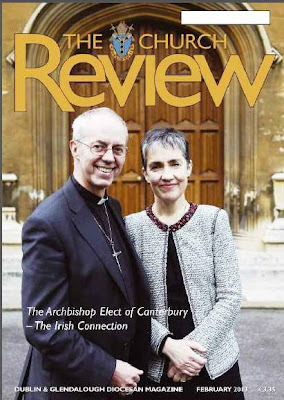 But at other times, it is interesting to recall how the divisions within Anglicanism are symbolised by key individuals, such as Barbara Harris, the first woman to be consecrated a bishop in the Anglican Communion, or Gene Robinson whose consecration as a bishop has come to symbolise the divisions within Anglicanism on the questions surrounding sexuality. But all of this helps to show that the Anglican Communion is broad and diverse, and that the word Anglican is not equivalent to English. Without a Pope, a curia or one central authority, how does a communion of churches as diverse as the Anglican Communion hold together? ● The Anglican Consultative Council, formed in 1968. Its last meeting, ACC-15, was in Christchurch, New Zealand, three years ago from 27 October to 7 November 2012. The Church of Ireland members are the Revd Dr Maurice Elliott (Director of the Church of Ireland Theological Institute) and Mr Wilfred Baker (Diocese of Cork). ACC-16 is due to meet in Malawi in May 2016. ● The Primates’ Meeting, which takes place every two or three years. The last four meetings were in Dromantine, near Newry (2006), Dar es Salaam, Tanzania (February 2007), Alexandria, Egypt (February 2009), and the Emmaus Retreat Centre in Swords, Co Dublin (January 2011), when I was the chaplain at the meeting, and the current Archbishop of Canterbury, Justin Welby, then Dean of Liverpool, was one of the facilitators. Archbishop Welby has called the next meeting for January 2016. ● The secretary of the Anglican Communion Office, Bishop Josiah Atkins Idowu-Fearon. He succeeded Canon Keneth Kearon, who became Bishop of Limerick and Killaloe earlier this year [24 January 2015]. How do we explain this phenomenon of growth in the Republic of Ireland? Indeed, some rectors may be asking whether the data reflect a genuine increase. Is it correct to presume that after a long decline ever since 1861, Irish Anglicanism is undergoing a period of growth? Some of this growth is explained by immigration, but some is also due to members of the Roman Catholic Church transferring their membership to the Church of Ireland. ● The relaxation of the Ne Temere regulations that stipulated that children of Roman Catholic-Protestant marriages should be brought up as Roman Catholics. ● The decline in the fertility rate for Roman Catholics. ● The inward migration of English-born Anglicans – they may account for up to 80 per cent of immigrants who now declare themselves Anglicans in the census. ● The number of Anglican immigrants who have moved to Ireland recently from countries with a considerable Anglican population, such as Nigeria. For example, in the Western counties that I referred to, counties that form the greater parts of the Diocese of Tuam and the Diocese of Limerick and Killaloe, migrants contributed just over half the increase noted in 2006 (4,800 out of 9,008), with three-quarters of those coming from the UK. In the Midlands counties, two-thirds of the 39 per cent increase (3,620 out of 5,630) was attributed to immigrants, of whom two-thirds were from the United Kingdom. However, he said the figures bring fresh challenges to the Church of Ireland. ● In many parts of the Republic, and indeed overall, there are now many centres of growth in the Church of Ireland and the decline in the Church’s population has been halted. ● There are people claiming allegiance to the Church of Ireland who may not be in close touch with their local parishes. This reminds all members, clergy and lay alike, of our responsibility as a Church to minister to them. The Book of Common Prayer (Dublin: Columba, for the Church of Ireland, 2004). Mark Chapman, Anglican Theology (London: T&T Clark, 2012). Bruce Kaye, An Introduction to World Anglicanism (Cambridge: CUP, 2008). William Marshall, Scripture, Tradition and Reason (Dublin: Columba, 2011). Samuel Wells, What Anglicans Believe (Norwich: Canterbury Press, 2011). Patrick Comerford, Embracing Difference (Dublin: Church of Ireland Publishing, 2007). Guidelines for Interfaith Events & Dialogue (prepared by the Committee for Christian Unity and the House of Bishops of the Church of Ireland, Dublin: Church of Ireland Publishing, 2007). A. McGrady (ed), Welcoming the Stranger: Practising hospitality in contemporary Ireland (Dublin: Veritas, 2006). Richard O’Leary and Lan Li, Mainland Chinese Students and Immigrants in Ireland and their engagement with Christianity, Churches and Irish Society (Dublin: Agraphon Press, 2008). Gordon Wynne, Pastoral Care in the Recession (Dublin: Church of Ireland Publishing: 2009).